The best heating and cooling systems in the world are rendered useless if they have no power coming to them. 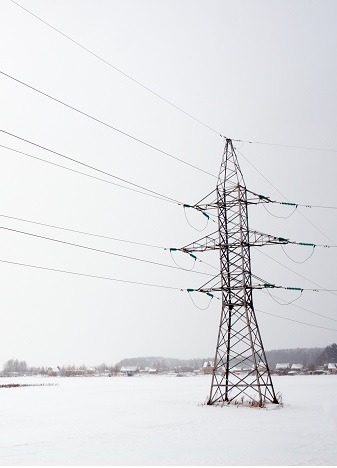 Extreme temperatures and weather patterns have been known to knock out powers to homes, especially in Pennsylvania where trees have a tendency to come down on power lines. An investment in a powerful Generac Generator can save you days or weeks of dangerous home temperature swings, ensuring the comfort and well being of your family. B&L Ott is proud to install Generac products, the leading name in auxiliary power systems. Their generators are trusted in small family homes all the way up to large data centers that cannot afford a moment of down time. Homeowners and business owners alike have come to understand the importance of reliable backup power. Is Generac Right For You? Owners of a Generac home backup generator can trust that they will continue to live normally during any power outage. Make it through hurricane, tornado, and winter storm season with the peace of mind that a backup generator can provide. Generac products will instantly detect that utility power is lost for any reason, such as a heavy snowstorm or equipment failure. It will deliver backup power to your home automatically within seconds. The generator will continue to provide electricity until the utility power returns, no matter how long that takes. 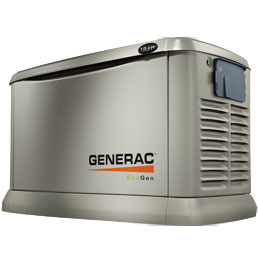 Generac is the #1 selling brand of generator and offers a range of reliable, automatic, battery-free, 8-22 kilowatt home backup units engineered and built in the United States. Generac products come highly recommended and are continuously updated with new technology and innovation. New mobile link cellular monitoring systems allow owners to access the status of their generator through a phone app. We welcome you to take advantage of all the power, comfort, security, and convenience that Generac provides. How do Generac Generators Work? Generac home backup generators run on your natural gas or liquid propane fuel supply and are installed outside similar to a central air conditioning unit. There is no need to refuel it manually with gas cans or connect it with long extension cords. In times of need, backup power is delivered directly to the entire home or the most essential items depending on your preferences. It does not require any manual direction or even anyone to be at home in order for it to begin functioning. Purchase or put together an emergency kit. Include nonperishables, flashlights, water, hand tools, gloves, batteries, and window-boarding supplies. Install an automatic home backup generator. This will ensure that your family is never without power. Check in with the community. Find out if your area has an emergency plan in place. Talk with friends and neighbors about preparing emergency kits for themselves. Keep insurance cards and important documents in a safe place. Have them ready in the event of severe damage from a storm. Generac products are the most cost-effective on the market. However, we understand a home backup generator is still a big investment and know you want information and support you can trust. The best way to find this is through a certified Generac dealer in your area. B&L Ott HVAC is a Generac dealer serving the Berks County area. We can provide you with a free in-home assessment to help you figure out which size generator is right for your unique needs. B&L Ott specializes in service in Berks County, Pennsylvania. We are a leading installer and technician company for Generac and can be trusted for honest and expedient service. Contact us today if you would like to learn more or schedule a time for generator installation. Alternatively, fill out the form below and we will contact you to discuss your needs.